Improving communication around forests and their role in achieving the Sustainable Development Goals is vital to deepen awareness among policy makers and the general public, Eugenia Serova, Director of FAO’s Liaison Office with the Russian Federation, told forestry communication experts today. 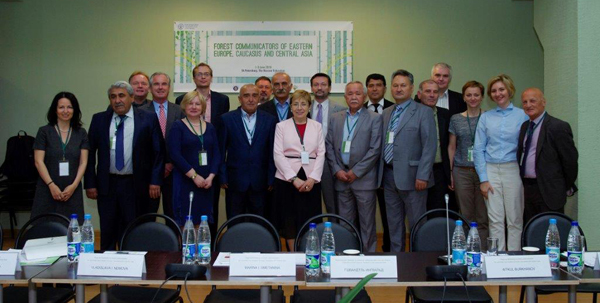 Serova was speaking at the opening of the first regional workshop on forest communication for countries from Eastern Europe, Caucasus and Central Asia, which is being held in St Petersburg, Russian Federation, this week. During the three-day meeting, 23 experts from 12 countries will discuss how to facilitate dialogue between forest communication professionals and develop technical communication skills in the region. The meeting is organized by FAO and the Federal Forestry Agency of the Russian Federation, with support from Austria, Finland and the United Nations FAO/UNECE Forest Communicators Network.